During a particularly uninspired Tuesday night this fall, I had a package of chicken breasts and no idea what to do with them. After a quick online search I found a recipe called “The World’s Best Chicken“. It had dijon mustard and maple syrup (two of my favourite ingredients), so I thought it sounded good enough to give it a try. I made a couple of variations, popped it in the oven and hoped for the best. 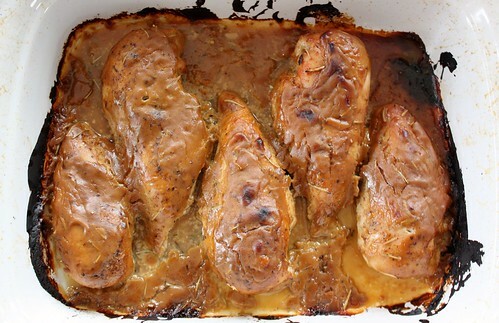 What came out of the oven was some of the most tender, flavourful chicken I’ve ever had. Since then, it has been the number one dinner request from Garrett almost every week. 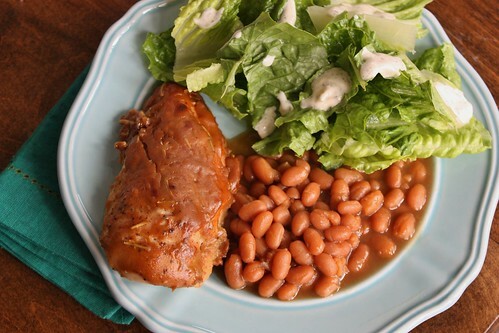 It’s great for dinner and the leftovers are superb for salads and sandwiches the next day. Preheat oven to 425°F. Line a baking dish with tin foil and grease the tin foil. I didn’t do this the first time (as you can see from the photo above) and it was awful trying to clean the dish later. Save yourself the trouble, my friends. 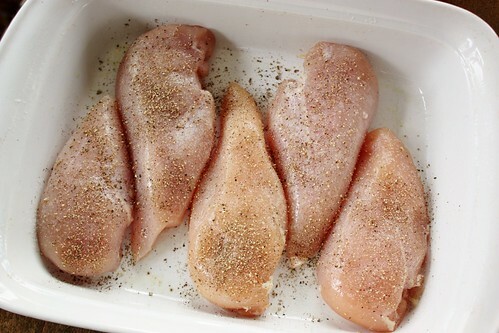 Lay the chicken in a single layer; sprinkle with salt and freshly ground black pepper. 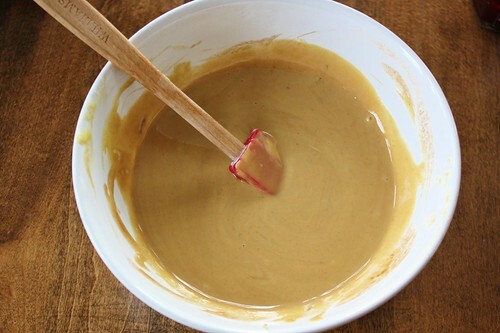 In a small bowl, combine the mustard, maple syrup and vinegar. Pour the mixture all over the chicken, making sure to coat each piece and then sprinkle with rosemary. Bake for about 30-40 minutes, or until meat thermometer reads 165°F. 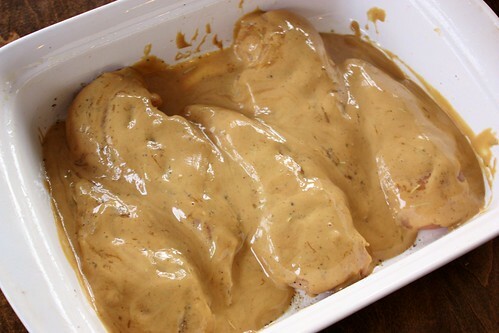 When it’s finished, serve the chicken with some of the extra sauce spooned over the top. See all those burnt marks on the side? You do not want to be scrubbing those off – use tin foil! 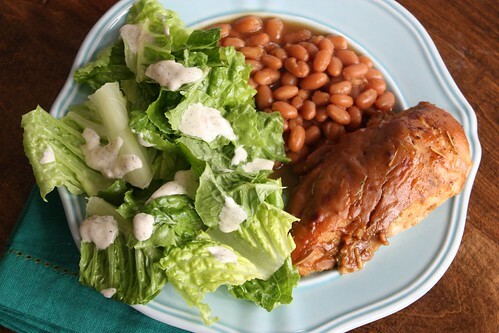 I served ours up with baked beans and a side salad with yummy cucumber dill dressing. This sounds amazing, and so simple!